The summer of 2012 has come and gone and like any summer there have been some hits and misses. No matter how good those hits may have been, the stigma surrounding movies released between the months of May and August will prevent most (if not all) of these films from receiving significant recognition come awards season. With that in mind, I have put together my list of summer superlatives. This isn’t a ranking of the top movies as that can be ascertained simply by looking at the letter grades in each review. This is a different spin on the best efforts of the last four months. Hopefully it will aid you in making some rental decisions as these movies start dropping on DVD over the next few months. Enjoy. Prometheus. We all know that a great trailer can make even the worst movie look good, but that doesn’t stop us wanting so badly to believe that two minutes of careful editing can serve as a reliable barometer for the larger work. 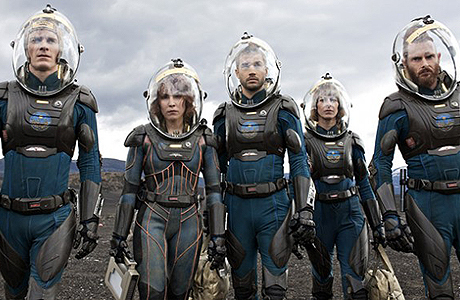 The trailers for Prometheus were masterful with their quick cuts, sleek cutting edge sci-fi visuals, and sharp techno sampling. This coupled with some clever viral marketing campaigns truly worked film enthusiasts into a frenzy as the film seemed to promise an endless litany of possibilities – an Alien prequel, secrets to the origins of humans, the next Ridley Scott masterpiece, a scantily clad Charlize Theron doing push ups. And because of this, I am hard pressed to think of a set of trailers that promised so much for a movie that delivered so little – leaving some so disillusioned and locked into a state of denial that they looked for meaning where there was none (what I like to call the Matrix Reloaded syndrome). Cam Brady – The Campaign. 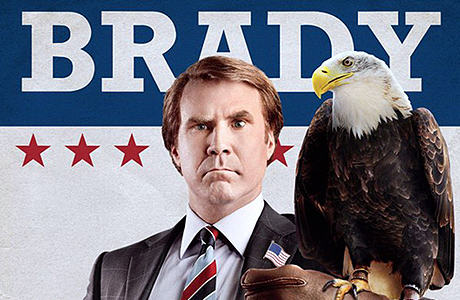 Will Ferrell’s Cam Brady is funny and unlike real political figures, he is intended to be so. As much as his antics in the film are absurdly over-the-top, both the role and the movie hit a little closer to home than most want to admit. It only makes sense that an actor playing a political figure should shine at the box office in an election year since politicians have increasingly tried to emulate actors – obsessing over narcissism, overly relying on their proficiency in delivering scripted lines rather than yielding substantive results, and indulging a troubling obsession with celebrity. That the role is so cleverly satirical tells you a lot about the actual reality. Gwen Stacy – The Amazing Spider-Man. No matter how many times you watch Revenge of the Nerds or the The Big Bang Theory, the novelty of the geek getting the girl never wears out. This premise of awkward guys with pocket protectors who like to spend their days in science labs, winning the heart of the cheerleader or the pretty girl next door seems to be the premise that keeps on giving. Gwen Stacy (played by Emma Stone) represents a new wrinkle to this equation; a woman who is both the scientist and the girl next door – incredibly intelligent and equally attractive in a skirt or a white lab coat. Who wouldn’t want to spend the day working with Bunsen Burners opposite the likes of Gwen Stacy? 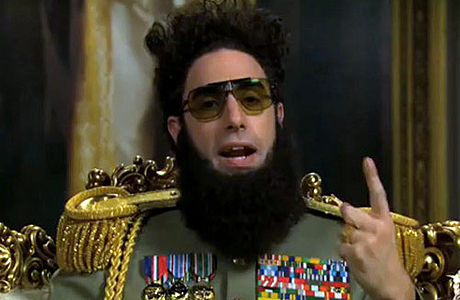 Aladeen – The Dictator. Sacha Baron Cohen’s Aladeen is an over-the-top imbecile who is politically and socially incorrect. There is however equanimity in the way that he offends that makes his act humorous and loosely satirical as he cuts up various contemporary conventions by callously and carelessly wielding power. Much of the humor is born from the fact that Aladeen is far removed from reality and out of touch with society. Still, as cartoonish and entertaining as he is, his foibles are a hilarious reminder that while the rule of many is not without its imperfections, it has great merit. The Dark Knight Rises. If it wasn’t the best movie of the summer then it was a very close second to The Avengers. There was so much to like – a city under siege, a worthy adversary, a cunning cat burglar, a heroic last stand, and of course, Marion Cotillard. 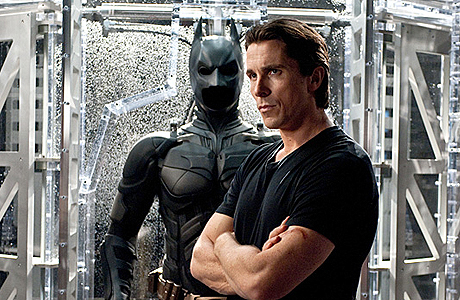 It was a worthy ending to Christopher Nolan’s Batman trilogy. Despite this, the movie was not without its critics and surprisingly some came from the political arena. There was a segment of people that drew parallels between Bane’s revolution and the tenets of socialism and felt compelled to speak out against whatever political statement they felt was being made by Batman’s crusade against the social terrorist. I doubt that there were political machinations embedded in the plot of the movie, but regardless; I think I am in the majority when I say that as the movie moved towards its climax, I was rooting for the Caped Crusader. Premium Rush. I will be the first to say that working a job that involves doing something you love, offers you a flexible schedule, and let’s you spend most of the day outside is far more preferable to putting on business casual and sitting somewhere in the middle of a corporate hierarchy. 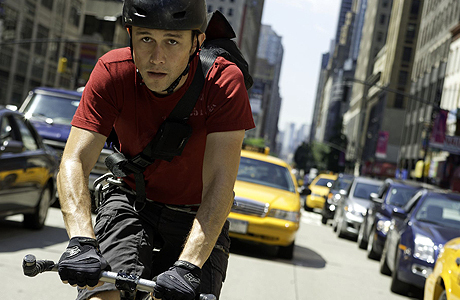 In Premium Rush, Joseph Gordon-Levitt’s Wilee eschews a law degree from Columbia to spend his days indulging in his cycling fetish while delivering freight as a New York City messenger. And what does this bohemian lifestyle get him? Broken ribs, a gun shot wound, one damaged bike, and the future General Zod in Man of Steel (Michael Shannon) hunting him throughout the city. It makes a career practicing law (or anything else for that matter) seem all the more appealing. Lori Quaid – Total Recall. Who doesn’t have that crazy ex who refused to give back your Dolce & Gabbana scarf or who stole your Nintendo Wii? I think we all have that person(s) on our respective dating resumes that we would like to take the proverbial whiteout to. Kate Beckinsale’s Lori Quaid takes the concept of the crazy ex to a whole new level in Total Recall. Not only is her relationship with Colin’s Farrell Quaid built on a mound of perpetrated lies and deceptions, but she also spends the duration of the movie trying to kill him by any means necessary – proving that not only can love hurt; it can also kill. 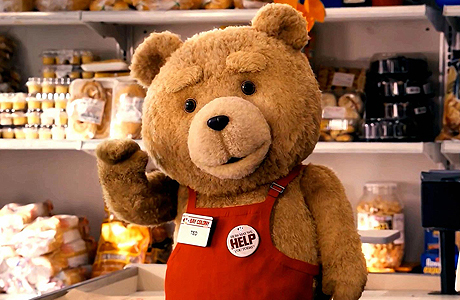 Ted. This talking stuffed bear is both a blessing and a curse. If you have to ask why, then you haven’t seen the movie and if you haven’t seen the movie, be sure to check it out when it drops on DVD. Campaign was my fav movie. Will Ferrel tore it up. Ted was a pretty close 2nd place. Ted owns Campaign but Avengers was the best movie of the year. i'd date kate beckinsale even if she was crazy. she's hot. Dark Knight Rises was the best, hands down. Perfect conclusion to an amazing trilogy. Agreed. The ending of the Dark Knight was perfect! Loved it. 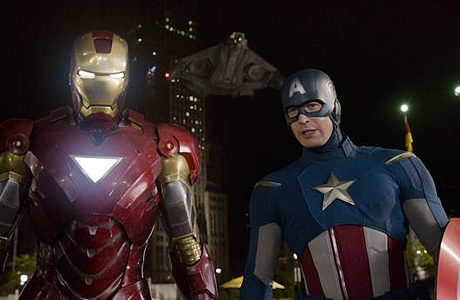 I loved everything about Dark Knight Rises... but Avengers was the most fun I've had during a movie in a long time!